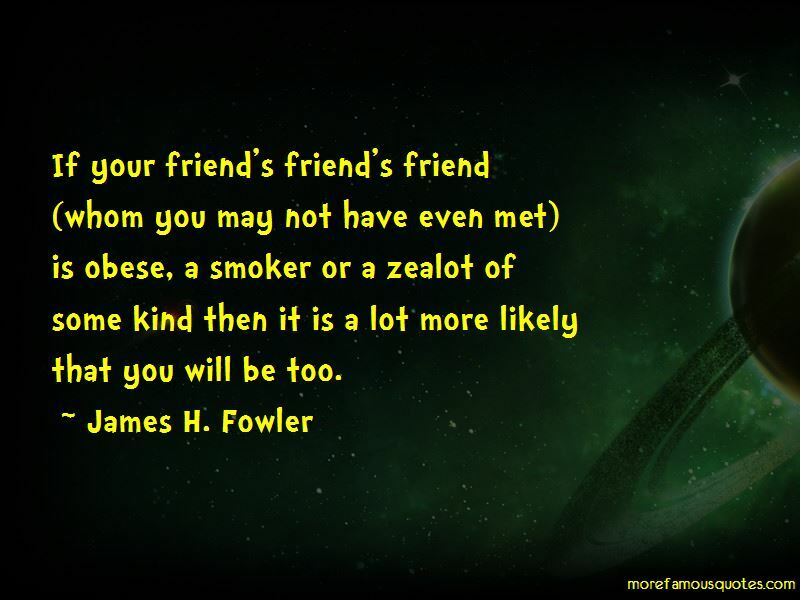 Enjoy the top 3 famous quotes, sayings and quotations by James H. Fowler. The Social Citizen is the best, most thorough, and most methodologically sophisticated treatment of the role of social networks in political behavior that I have ever read. Betsy Sinclair shows just how strongly we are influenced to express ourselves politically by our family, neighbors, and friends. We are on the verge of a sea change in political science, and this will be one of the most important books we refer to when we describe what happened to the discipline in the twenty-first century. 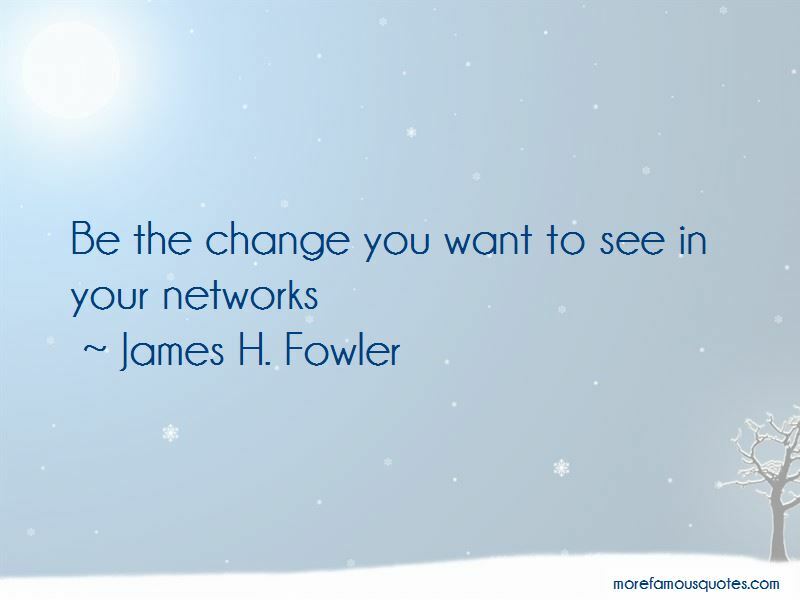 Want to see more pictures of James H. Fowler quotes? 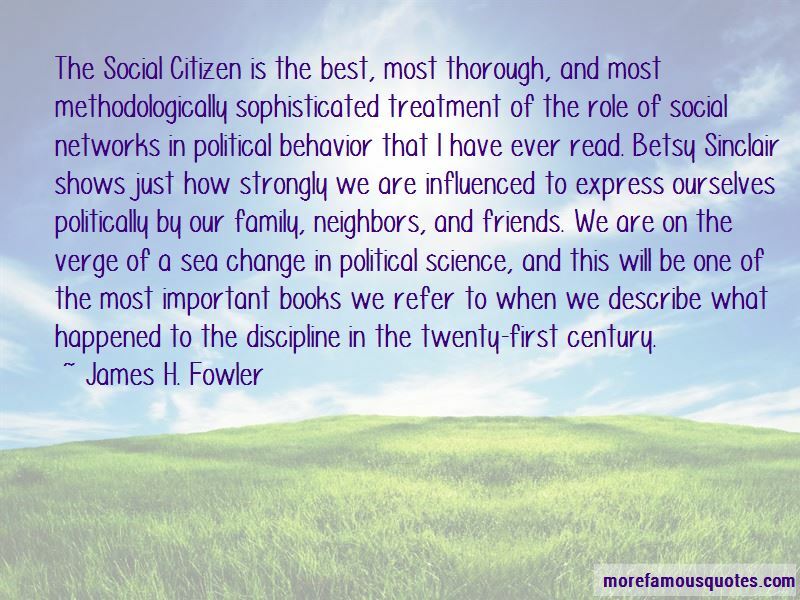 Click on image of James H. Fowler quotes to view full size.